Very, very cool: a must for your Christmas stocking. Build these models and stage your own Star Wars. DK’s all-in-one kit lets you build four brilliant 3D models from the movies we all know and love. No glue, no fuss: it’s all done with easy step-by-steps and quality punch-out card parts. 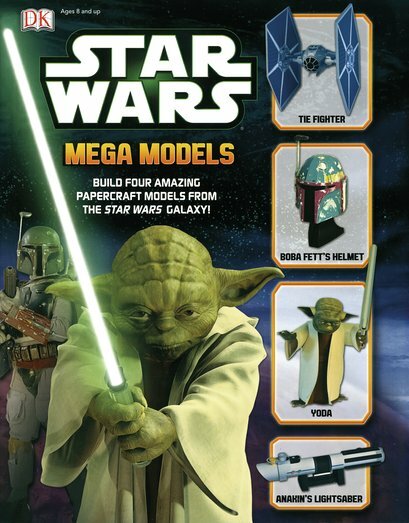 Create a super-realistic Yoda, Anakin’s lightsaber, Darth Vader’s TIE fighter plane and Boba Fett’s helmet. Plus: grab fun facts about the Star Wars characters, technology, weapons and vehicles. How did you ever live without it?